MLSE Foundation, the charitable arm of Maple Leaf Sports & Entertainment (MLSE), believes all kids should have access to sport and the opportunity to develop and pursue lasting dreams on the playing field. With the support of MLSE's teams (Toronto Raptors, Toronto Maple Leafs, Toronto FC, and Toronto Marlies), the Foundation supports the refurbishment of local athletic facilities and funds charities that support kids through sports and recreational programs. 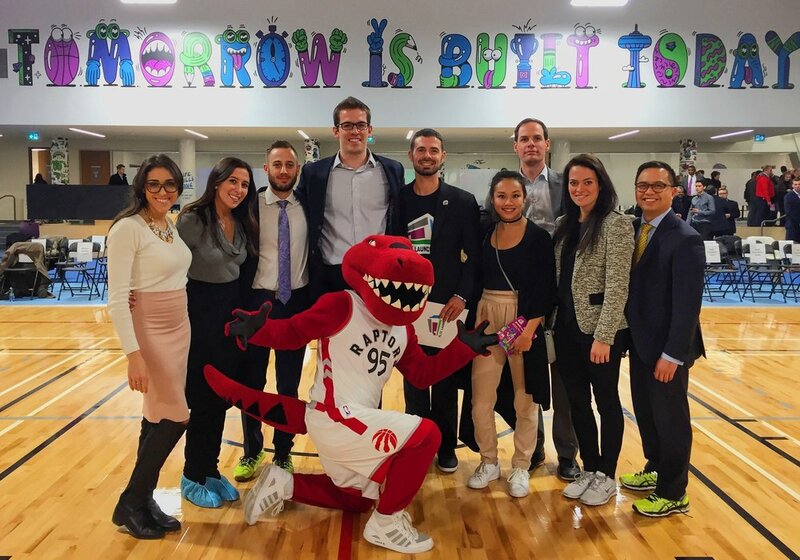 Their latest initiative, MLSE LaunchPad, is the first collaborative space in North America to leverage sport, education and research to promote social change. MLSE Foundation Game Changers is the Official Young Professionals Network of MLSE Foundation. We have a passion for sport and facilitating change in our community by supporting MLSE Foundation's youth sports initiatives. Our Member Network and two marquee events, Toronto Plays and Empower Play, have raised over $80,000 in net donations while raising awareness of MLSE Foundation and MLSE LaunchPad. The Game Changers Member Network is for those who want to actively contribute and support Game Changers and MLSE Foundation initiatives. Not only will you help make a real impact on the community, but you will also enjoy access to exclusive events and the chance to earn a breadth of exciting rewards through personal fundraising. Along the way, members receive recognition from MLSE Foundation and invaluable professional and social networking opportunities. Interested in joining the member network? Learn more here.